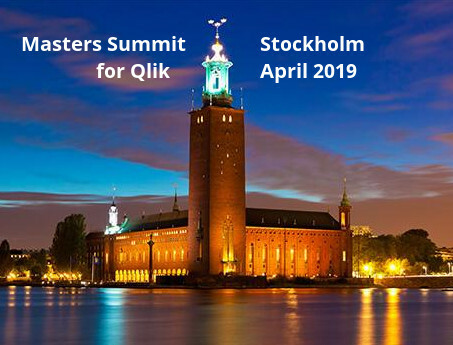 The 16th edition of the Masters Summit for Qlik will take place 1-5 April 2019 at the Stockholm City Conference Centre . Our goal at this hands on education event is to “Take your Qlik skills to the next level” to make you more productive and increase the business value of your QlikView or Qlik Sense applications. Our new API track, 3-5 April, is designed for Developers who will create Qlik applications and mashups using Qlik APIs, Qlik Core, QAP and custom visualizations. The API track is led by Nick Webster and Speros Kokenes. You can see the agenda for the API track here. Our evening guest speakers, networking events and optional lunchtime lectures fill out the program with additional content and lively discussion. Our panel of six presenters are well known as authors, educators, Qlik experts and members of the Qlik Luminary and MVP programs. Learn more about determining if the Summit is right for you and choosing a track in our Frequently Asked Questions. If you have any unanswered questions or want to learn more, reach out to registration@masterssummit.com . I hope you can join us in Stockholm to take your Qlik skills to the next level. The early bird registration discount is available until 28 February. Event details and online registration. 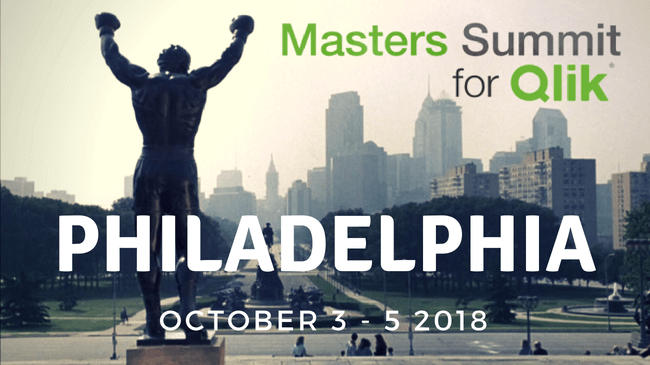 The 15th edition of the Masters Summit for Qlik will take place October 3-5 2018 at the Bellevue Hotel in Philadelphia PA . Our goal in this three day hands on education event is to “Take your Qlik skills to the next level” to make you more productive and increase the business value of your QlikView or Qlik Sense applications. In addition to core topics, we’ll have 1/2 day workshops on performance tuning and an introduction to creating Qlik Sense mashups using APIs. See the complete agenda here. Our panel of five presenters are well known as authors, educators, Qlik experts and members of the Qlik Luminary and MVP programs. In addition to our regular presenters, we’ve got some exciting evening guest speakers in Speros Kokenes and Paul Van Siclen. Have you taken basic Qlik training and/or worked with the product for a while? Do you find yourself struggling with data modeling questions such as slowly changing dimensions and rolling time analysis? Syntax for aggregation questions like “what products do top salesreps in each region sell?” When do I need “$()” and when do I not? More self assessment to determine if the summit is right for you can be found here. I hope you can join us in Philadelphia to take your Qlik skills to the next level. The early bird registration discount is available until August 17. Event details and online registration. 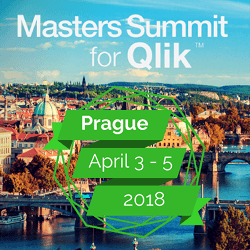 The 14th edition of the Masters Summit for Qlik will take place in Prague on 3-5 April 2018. In this three day hands on education event our goal is to “Take your Qlik skills to the next level” making you more productive and increasing the business value of your QlikView or Qlik Sense applications. I hope you can join us in Prague to take your Qlik skills to the next level. The early bird registration discount is available until 2 March. Event details and online registration. I travel a lot for business and personal reasons. I’ve used TripIt (owned by Concur) for several years to plan and manage my trips. It’s a great tool, can’t image living without it. Today TriptIt sent me a lovely graphic email summarizing my 2017 travel. The design was a very fashionable card layout with share-to-social links. Pretty cool, but for one problem. It’s not my data. Yes, those are definitely not my travel stats. My answer is always the same: “First, get the numbers right. Second, keep the numbers right”. It doesn’t matter how it looks or how fast it calculates if the results are wrong. 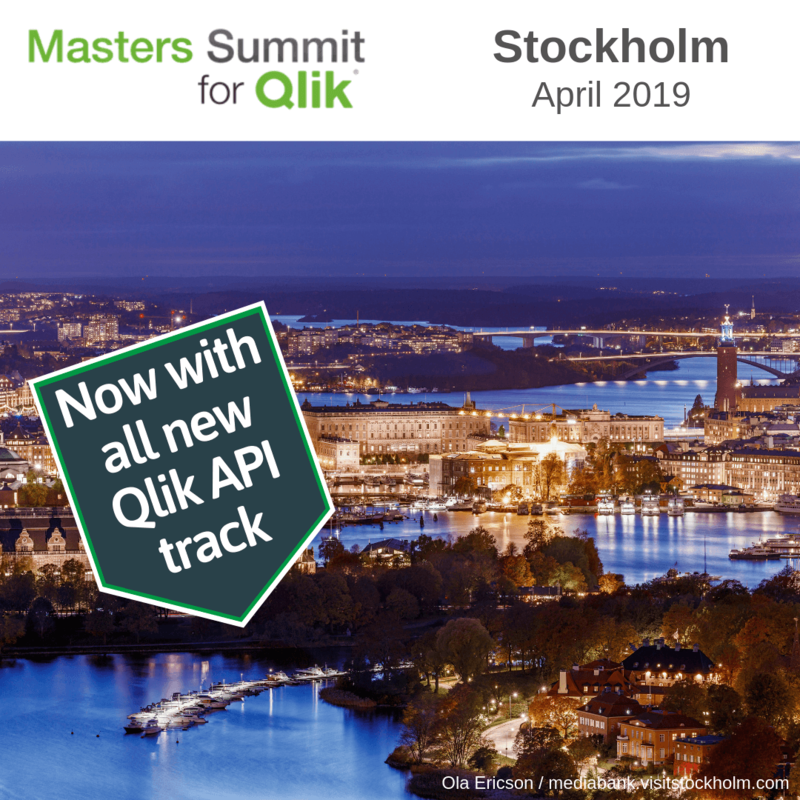 Join me at the Masters Summit for Qlik in Prague 3-5 April where in addition to a full range of Qlik Dev topics, we’ll be discussing automating quality. I’ll be demonstrating tools to automate dashboard validation and continuous quality monitoring. BTW I emailed the TripIt folks about the error, they’ve promised to look into it. Anthony Deighton, Qlik CTO, will be our evening speaker. Since 2005 Anthony has been responsible for guiding product strategy and leading all aspects of the company’s R&D efforts. Anthony’s talk is sure to be interesting, stimulating and informative. Nick Webster’s evening talk at the Munich summit was such a hit that we’re bringing him back in an expanded role. Nick will present a half day, hands-on session titled “Qlik Sense Integration”. Want to understand the possibilities of the web and the Qlik platform? Nick’s session will help you understand the basics of HTML and CSS and show you how to construct a basic web page that displays data from Qlik Sense. After completing the session you’ll have a fully functional, interactive web application and the inspiration to continue your journey into the world of web development with Sense. No prior experience with Web Development or Qlik Sense is required. Those special speakers are in addition to our already packed three day agenda. Learn more about the Summit or register for Boston. The next Masters Summit for Qlik event will be in Boston on October 23-15, 2017. Designed for Qlik Developers who have basic skills and experience, the Summit presents three days of intense hands-on sessions in topics such as Advanced Scripting, Data Modeling, Advanced Aggregation and Set Analysis, and Visualization Techniques, applicable to both QlikView and Qlik Sense. You have some experience with Qlik, have taken the beginning courses. How do you ramp up to create more success with your Qlik program? Learn from seasoned experts, authors and world class presenters Rob Wunderlich, Barry Harmsen, Oleg Troyansky and Bill Lay. In addition to the hands-on exercises, you’ll come away with many valuable sample files and documents. You’ll also get a chance to meet and network with Qlik Developers from around the world. Our 2017 program features an expanded Performance Tuning section and additional content specific to Qlik Sense. 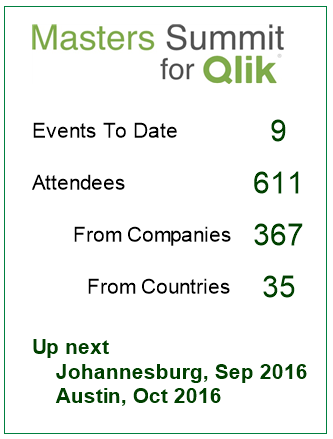 In four years over 900 Qlik Developers have attended twelve Summits around the world. Their feedback is overwhelming positive. Read about their experience here. I hope you can join us in Boston to take your Qlik skills to the next level! Read about the details of registration here. 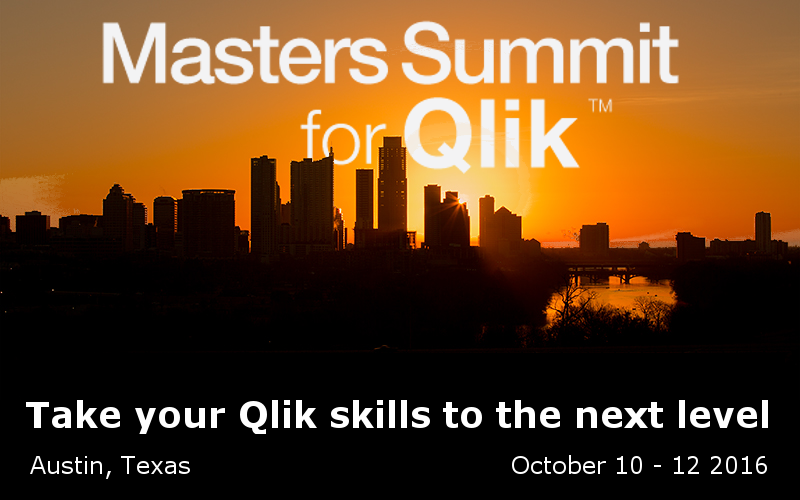 The next US edition of the “Masters Summit for Qlik” takes place in Austin, Texas on October 10-12. A discount of $300 is available for registration before August 26. Want to take your Qlik skills to the next level? At the Summit, Qlik Developers (you) will be immersed in three days of hands-on advanced and intermediate training covering topics such as advanced scripting, advanced expressions & aggregation, visualization, data modeling and performance. Join us in our fourth year of Summits. What have you missed? Training is led by four popular instructors, all well known as Consultants, Book Authors, Bloggers, Qlik Luminaries and longtime QlikCommunity contributors. Barry Harmsen: Co-author of the seminal book “QlikView 11 for Developers” and founder of the Q-on Training Center. Oleg Troyansky: Author of “QlikView Your Business” , QlikView veteran and one of the all time top contributors to QlikCommunity. Rob Wunderlich (hey that’s me! 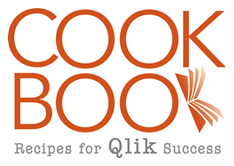 ): Publisher of QlikViewCookbook.com and founder of the QlikView Components open source script library. Bill Lay: Visualization wizard and everyone’s favorite presenter. Bill’s entertaining presentation style makes any topic interesting and engaging. In addition to the class material, we’ll have evening panel discussions, a guest speaker and plenty of opportunities to network with peers. Read more about the Masters Summit for Qlik and Register here by Aug 26 to get that $300 discount! See you in Austin!